Click here for "The Spam Song"
Do you have to be a chessmaster to play at LCCC? Answer: NO! We have players of all skill levels so you are guaranteed to find someone who can challenge you! 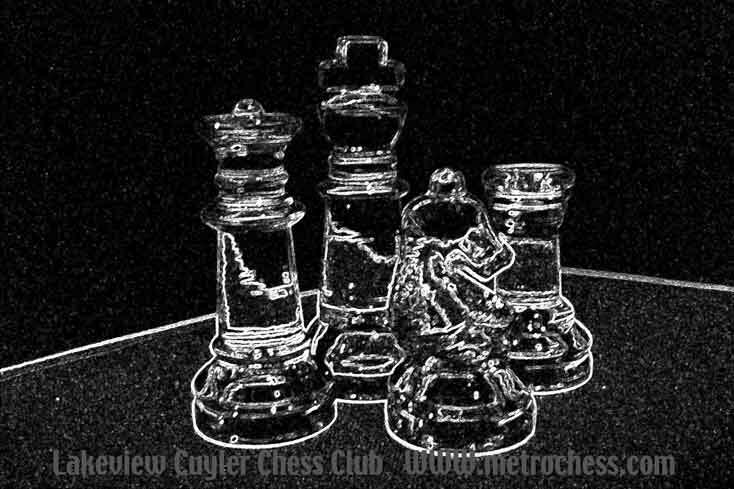 Lakeview Cuyler Chess Club opened it's doors on May 15th, 2002 and we have been growing ever since! Our club is graciously hosted by the kindly folk at the friendly neighborhood Cuyler Covenant Church. We meet every Wednesday evening (excluding holidays) at 7pm in the Fellowship Hall at Cuyler Church. Join us!!! Our mission is simple. We want you to play chess and have fun in a safe and enjoyable atmosphere of friendly folks and neighbors. Who knows? You might discover a new friendship that lasts a lifetime. Lakeview Cuyler Chess Club is a United States Chess Federation affiliated club. 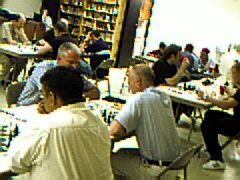 Players can aquire USCF membership through the club but it is not a requirement to play unrated games. However if you want to play in tournaments you will need to be a member and hold USCF membership status. LCCC is also an affiliate club of the Illinois Chess Association!!! Currently our chess club rate is $1.00 per hour of game play. This includes your use of tournament standard game boards and refreshments. 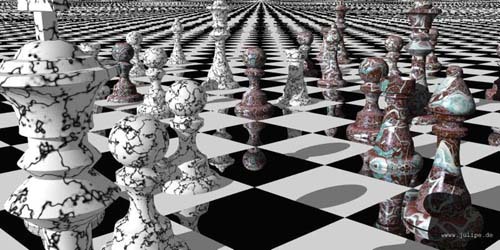 Learn chess and expand your mind! LCCC rocks on Weds nite w/ a FULL house! Parking? We have some limited parking in Church lot. Best bet is to come early! Questions or comments? Email us at the link below!